Zermatt is a car-free ski resort at the foot of Switzerland's most famous mountain, the Matterhorn. This attractive blend of Alpine village and sophisticated holiday destination boasts a varied offering, including a modern lift system, comfortable hotels, practical holiday apartments and friendly hosts. The skiing area stretches from 1,620 to 3,882m. The many mountain trains based here provide access to hundreds of kilometres of runs for skiing in Zermatt and the nearby Cervinia in Italy. During a ski holiday in Zermatt interesting freeride slopes, heli-skiing and the Gravity Park ensure the "cracks" amongst us have a fun winter. Ski clubs introduce children and beginners to the world of skiing. Restaurants, ski schools, shops, banks, post office, gas stations, public library, disco dancing, nightclubs, alpine garden, museums, billiards, and cinemas. For those who want to discover the fascinating mountain world of Zermatt without taking part in winter sports, there is the Peak Pass. 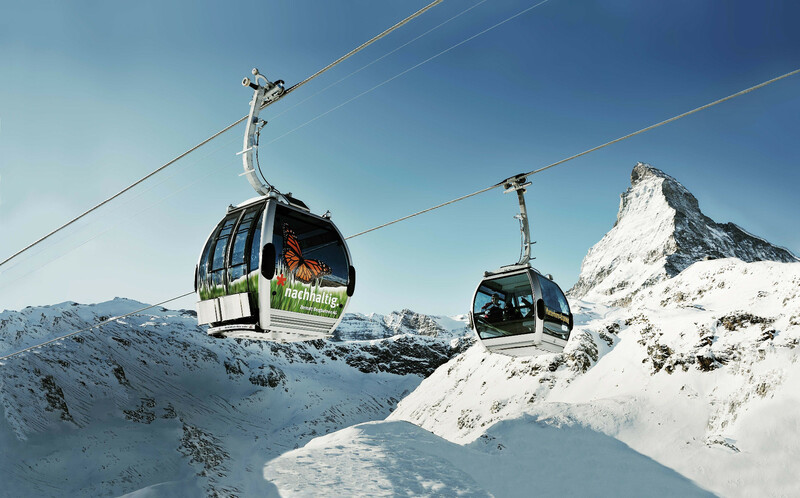 Winter hikers and mountain lovers can purchase this 3-day pass cheaply and travel aboard all mountain cableways to the peaks. It also includes travel on the Matterhorn Gotthard Railway between Randa, Täsch and Zermatt. The Peak Pass is CHF 171.00 for 3 days (adults). Get Snow Reports, Powder Alerts & Powder Forecasts from Zermatt straight to your inbox!